The board of the charitable arm of Pierce College is considering laying off an employee to save funds. 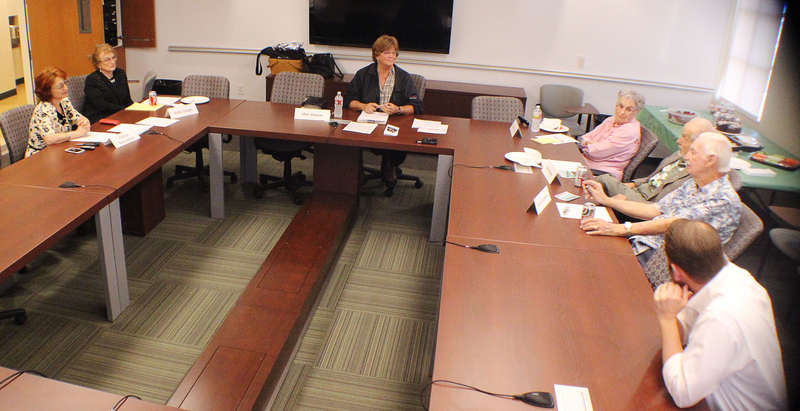 The Board of Directors for the Foundation for Pierce College met Wednesday, April 16 in the Student Services Conference Room to discuss the future of the organization. They were unable to come up with a resolution and will resume the discussion at the next meeting on Thursday, May 15 at 4 p.m.
Zanghi is the account manager for the Foundation and opted to be laid-off by the Board in order to save funds. “I can do the same, if it comes but this way, we can save money in the general funds, if it comes to this,” said Floria Borzenkova, senior program director for the Foundation. Borzenkova and Zanghi are the only paid employees of the Foundation, costing about $5,775 so far in April from the general funds. The Foundation currently has about $11,000 in the general funds, said Zanghi. The Foundation’s general fund relies on certain grants and donations including the Amgen Foundation Grant that brings in $9,600 per year. They also have a restricted fund where the funds are allocated to specific programs at the college. Chapman said they have $700,000 of restricted funds that the board cannot touch. “All of us feel this way, it has to be done the way the donor says it has to be done when the money is given to the Foundation,” Chapman said. Many organizations on the campus use their funds from the Foundation to run their programs, one being the Farm. “The Farm would not exist without the Foundation, the Farm Walk would not exist without the Foundation, the students who work at The Farm would not be there without the Foundation,” said Leland Shapiro, department chair of agriculture and natural resources. Borzenkova suggested that the Foundation needs an attorney to help with contracts. Other board members also suggested bringing more people with fundraising experience onto the Board of Directors. Brian Chase, the previous part-time director of the Foundation in 2010 was approved as a new board member at Wednesday’s meeting. The meeting took place Wednesday at the request of the Board Chair of the Foundation’s Board of Directors, Donna “Obie” Slamon, as she will be out of town Thursday. Rolf Schleicher, vice president of Administrative Services and Kathleen Burke, president of Pierce College were unable to be reached for comment. “If you have a strong Foundation, it’s a great support system for the school and we can do a lot more than what the school could do on its own,” said Slamon.